A well-known brand of beef processing enterprise in Inner Mongolia, L, has plants with Thousands of tons of tons of frozen beef processing capacity and their own brand marketing teams in Beijing, Shanghai, Guangzhou and other first and second tier cities. It also set up RDC in the region of the channel service. In order to adapt to the development trend of e-commerce era, L enterprise, in 2013 setting up e- business department, began selling products online, and in 2016 set up wholly-owned electric business subsidiary. Currently it has TMALL flagship stores, JD POP fresh shops, JD self-stores, as well as other B2C platforms. Daily orders amount to a thousand, even ten thousand if there happens a large-scale promotion. At its beginning of e-commerce development, L company headquarters required the branches to be responsible for a district's e-business orders for packaging, sending and other operations. Daily orders were collected by the headquarters' customer service, assigned to the regional warehouse management, and then faxed back the waybills to arrange shipment online. Inventory management has the regional responsibility for local inventory, according to the actual number of shipping and e-business unit settlement. With the increase in orders, the heads of the regional warehouses increased their time in the e-business business, and the management costs were rising due to the lack of professional electric warehouse equipment and electric warehouse management personnel, so it began to consider the use of profession of the third party service providers Jiuye supply chain, to provide its warehouse with one service to efficiently manage the e-business channel orders. Through the order density analysis and cost estimates, Jiuye supply chain for the L company designed for L company eight sub-warehouse delivery program. All the inventory from the original eight sub-warehouse warehouses to sub-warehouses of Jiuye Intra-city. 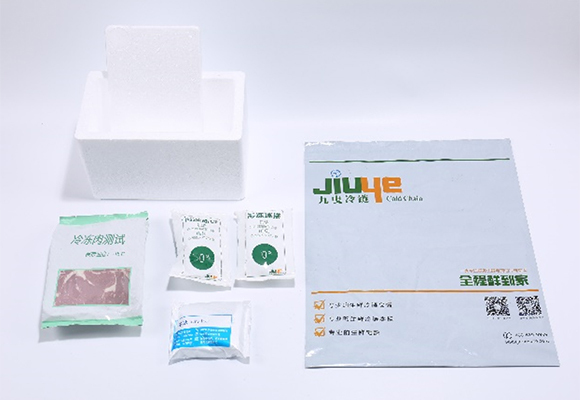 The distribution services use Jiuye home delivery for seamless docking. With the expansion of online business, L's online channels grow, thus online B2B business establishes. Jiuye offers at the same time high standards of B2B refrigeration distribution services, and distributed according to receipt time , delivery temperature, packaging, labeling standards and other requirements of the end w-channel，delivery accuracy and promptness reach 99%. 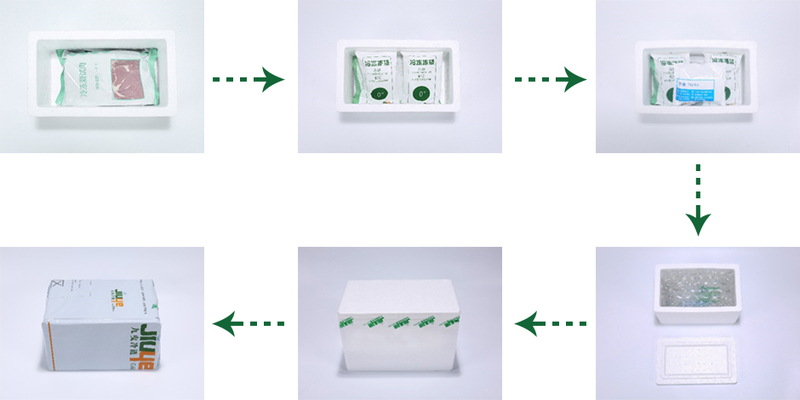 we have different designs of packaging consumables programs for different seasons to preserve the distribution temperature based on the principle of ultimate cost-saving. We use foam boxes + insulation bags + ice bags + dry ice in summer, and use no dry ice in winter; for cities in the North and South , temperature defines the number of the ice bags. At the same time for the main supplies such as foam boxes, ice bags, etc., Jiuye cloud warehouse provide such value-added services as the procurement of consumables on behalf of customers, eliminating capital tie-up, inventory costs, and management efforts brought about in the purchasing of consumables .And in order to highlight the characteristics of the brand, Jiuye supply chain customized for customers consumables of special patterns. Jiuye supply chain uses its self-developed OMS system to connect with customer ERP (Enterprise Resources Planning) system. Daily orders from the major channels of e-business B2C platforms are automatically captured to the ERP system. When checked by the customer service, order ,according to the regional rules, are delivered to the corresponding Jiuye sub-warehouses. Warehouse staff began to do the picking, packing, review, weighing, scanning and other aspects of shipment as per the order. In the weighing section, the system will automatically match a waybill number, sending back to L company's ERP system, and then automatically return it to the major business B2C platform to complete the online delivery. The use of self-developed WMS system, all the inventory data are open to the customers, which can be not only surfed through the webpage port ,but also uploaded real-time to the data port of a customer's system.